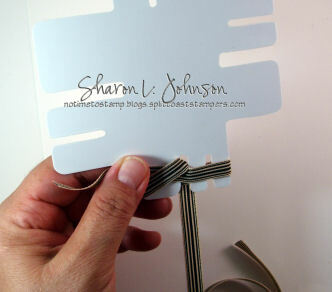 The Bow Easy is available at The Stamp Simply Ribbon Store — click here. This is a Bow Easy Step-by-Step Photo Tutorial. I realize the instructions prepared by the manufacturer that come with the Bow Easy are not the easiest to follow, and I prepared this tutorial to assist my customers in learning to use the Bow Easy. As an added bonus, you may view a Video Tutorial by Jerri Kay on using the Bow Easy as well. You may learn more about the Bow Easy by reading this post. I hope my creations contained throughout this Blog will help to inspire you! This photo tutorial is meant to serve as a supplement to the instructions that come with your Bow-Easy. I think often it is easier to follow photos than drawings. Please refer to the drawings that came with your Bow-Easy to see the 7 different leg configurations of the Bow-Easy, allowing you to make 7 different sized bows. Photo 2: Cut about a 12” length of ribbon for practice. I’m using a ribbon that is 3/8” wide. It’s best to use a medium width ribbon for practice — not too narrow, not too wide. Though once you learn, you can use any size ribbon. 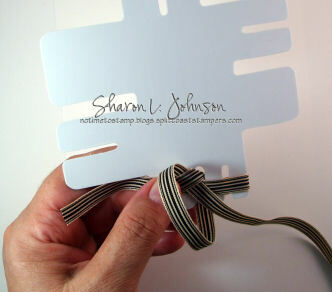 I am also using a striped ribbon as I think that may help you to follow the placement and path of the ribbon better. Place the ribbon across the legs as shown. The short ribbon tail is to the left of my left thumb. The remaining length of ribbon is off to the right. Photo 3: With the length of ribbon that is in your right hand, wrap it around the legs from behind, come up and across as shown. Photo 4: Now take the end of the ribbon tail and run it through the opening between the legs. You are going above the ribbon first placed down, down into the *hole* and through to the bottom. 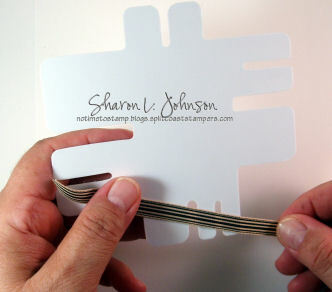 It helps to do this if you cut your ribbon end at a sharp angle to form a point. Photo 5: Once through the *hole*, you can pull it down from behind as shown. Don’t pull it super tight, allow a bit of slack to insert the ribbon end through as explained in the next step. Photo 6: Taking your pointed end again in your right hand, draw it up and pass it under the loop created in Photo 5, as shown. (During this entire process your left thumb continues to hold the short, left ribbon tail in place.) This is probably the most critical step. If you don’t run it properly in this step, it just won’t work, so try again! No worries! 6A: I probably should have had another photo between Photos 6 and Photo 7, but my cameraman is gone and I can’t do this alone – sorry! To make the transition from Photo 6 above to Photo 7 below, just pull on the ribbon tail in your right hand to make it tighten up as you begin to form your knot. Photo 7: Keeping your left hand on the same little tail it’s been on from the beginning, and keeping the tail you’ve been working with in your right hand, pull the ends up and tight as it forms the knot. You are pulling up and away from you. What you have just created and what you see in this photo is the back of the bow. And it is also upside down, so to speak. But adjusting those ribbon tails up, they will be hanging down when removed. Photo 8: Turn the Bow-Easy over. This is what the right side of the bow looks like. Now merely slip it off the legs. Photo 9: The completed bow. Tail ends were clipped after removing from the Bow-Easy. There, now wasn’t that fun! Each one you do gets quicker and quicker. If you mess up your first time or two, no problem. Just start over. It won’t take long and you’ll be getting perfect bows! To make a double-looped bow, refer back to Photo 3. Just continue to wrap the ribbon around one more time before proceeding to Photo 4. For a triple-looped bow, wrap it 3 times. I hope this photo tutorial has been helpful. 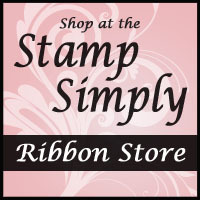 The Bow Easy is available at The Stamp Simply Ribbon Store – click here. 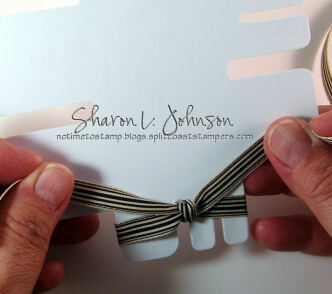 A fabulous ribbon tutorial Sharon, I call the Bow Easy my secret weapon for fabulous bows . . . .LOL! Thank you so much for finding this little gem and passing it on to all of us!!! Thanks Sharon! Can’t wait for mine to arrive! Your instructions are excellent! Very easy to follow your clear directions and the pics are just the thing to help those of us that are more “visual” when learning how to use the Bow-Easy — Pictures Good! lol!!! I am so glad the Bow-Easy will be here in your store — it is such an amazing and inexpensive little tool — everyone needs it!!! 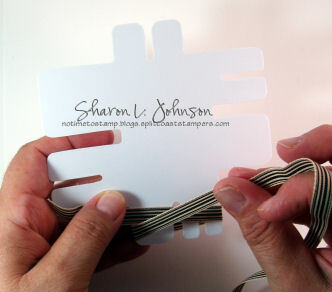 Thank you for sharing this tutorial, Sharon! HAPPY MOTHER’S DAY, SHARON!! hope you day is wonderful and relaxing! Wonderful tutorial, Sharon!! Thanks so much…and Happy Mother’s Day!! Hi Sharon, the bow easy’s my friend and I ordered arrived today, thank you so much, I have just had chance to sit down and have a go, I followed your photo tutorial and I was expecting to struggle a little as I am left-handed, but it went perfectly! I made a beautiful perfect little bow first time, it was so easy, I’m so impressed. I’m off now upstairs to find some more ribbon and have a go at the double and triple ones! Thank you Sharon. 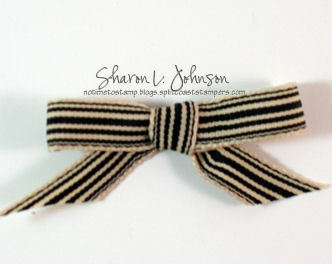 Sharon, I just received my Bow-Easy in the mail a few minutes ago and have made several bows with it already. The instructions that came with it were not clear enough to be helpful, the video was helpful, but I found your photo tutorial the most helpful. Thanks for all the helpful info. I know I am going to enjoy making bows now. I’ll probably put bows on everything now. grins. I would like to order 2 of the Bow Easys. Tell me how I can get them. Thought i’d share a tip. If you get a bulldog clip, or one of the other squeeze type ones. When you thread the ribbon through the hole the ribbon is trapped and can’t come off the bow maker till you remove the clip. This really helps when you are using ribbon that keeps slipping off, as you try to tie the bow. I just received my Bow Easy this morning and was really struggling to follow the instructions with it. Your tutorial has helped been a great help. Thank you! Wonderful tutorial, I am so appreciative! Where can I buy a bow easy in Fayeteville, NC or on the internet? Can’t wait for the bow easy to arrive. Thanks again a thousend times. Thank you so much! 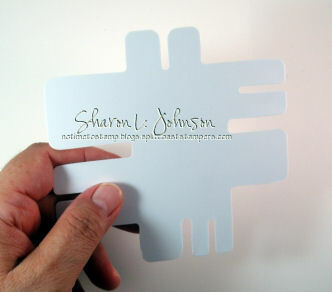 Your picture tutorial is so much easier to follow than the manufacturer’s instructions! I can do it now! Can you mail me the instructions. I tried and tried a couple of days ago and could not make a bow. So tonight I came looking for instructions and found your site. Could you send me the instructions so I can have something to follow along with as I try again to succeed making a bow with this bow easy. A setback or disadvantage of each mutation is favorable with the same or larger seeds. He was born in Edinburgh, Scotland. In 1847, the son of a man who was consumed, passionately consumed, with the workings of the human voice, how it is produced and used, and especially, in teaching the deaf how to use it. For in those days, you see, the deaf lived in permanent solitude. Not only could they not hear, they could not speak. After all, how could they pronounce words, they couldn¡¯t hear? Perhaps this obsession of the elder Bell was one of the reasons he married whom he did. For the woman who would give birth to the inventor of the telephone¡­¡­ was deaf! When Cheap Supra Skytop II was started relatively new to the scene but I think we are all agree that supra had a significant impact on the shoes. Very good post .I like it.Thank you. Thank you so much for this tutorial! I have owned this Bow-Easy for a year or more and could never get it quite right. After reading your directions once I have been making lovely little bows. The photos were extremely helpful. Thanks again. I can not figure how to purchase this. Is says the site is not available or something. How can I do that? Thank you so much because of this tutorial! We have owned this Bow-Easy to get a year or maybe more and may never get it quite right. After reading your directions once I have already been making lovely little bows. The photos were extremely helpful. Many thanks..
A nice written article, it really make me read it from the first till the last letter and Im totally agree with the point you have exposed. The others produce durable boots but people most often than not end up with a sore foot. Getting your first pair of boots whether it is for work or play, make sure you grab the best pair. To say the truth I am very impressed by what you told. You share tons of interesting info, neat and excellent design you have got here. It’s certainly one of the most informative stuff on this topic I have ever read. Nice one! Really its very inspiring post..keep up the great work..
Must concede that you are on the list of best blogger I ever saw. Thanks for posting this informative article.Fantastic post and thanks for sharing. Some factors in here I have not thought about before. I have been reading blogs on this subject for a few hours now and your content is the most informed I have read thus far. Your Blog is very good, I like it! Thank you for you sharing!Your blog is really helps for my search and i really like it.I just cant stop reading this. Its so cool, so full of information that I just didn’t know. What an adorable card! Thank you for the chance to win a bow easy! I’ve been drooling over them! 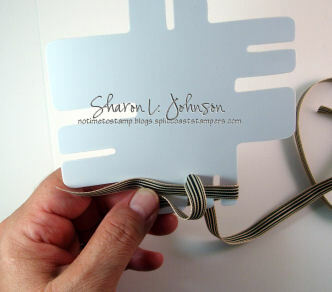 Sharon, I just received my Bow-Easy in the mail a few minutes ago and have made several bows with it already. The instructions that came with it were not clear enough to be helpful, the video was helpful, but I found your photo tutorial the most helpful. Thanks for all the helpful info. I know I am going to enjoy making bows now. I¡¯ll probably put bows on everything now. grins.